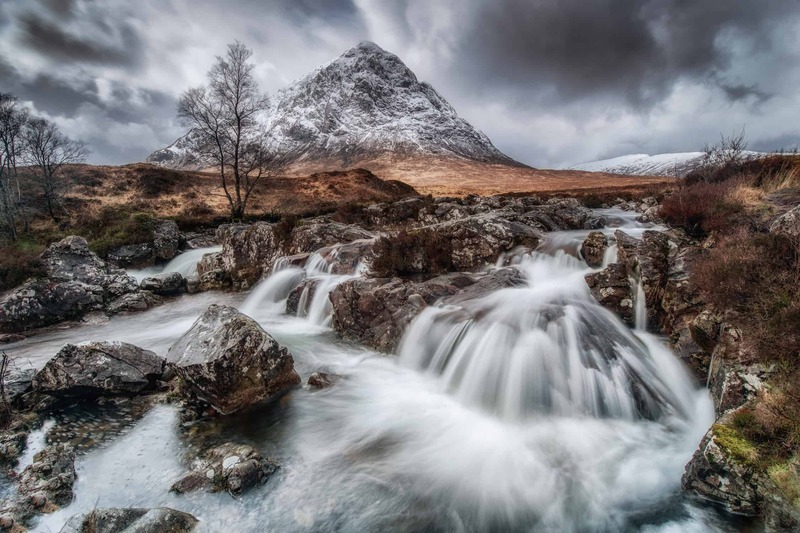 Our knowledge of Scotland and specifically the Highlands and Islands enables us to go to the best beaches, wreck sites, ancient ruins, castles, waterfalls, mountains, rivers and lakes. 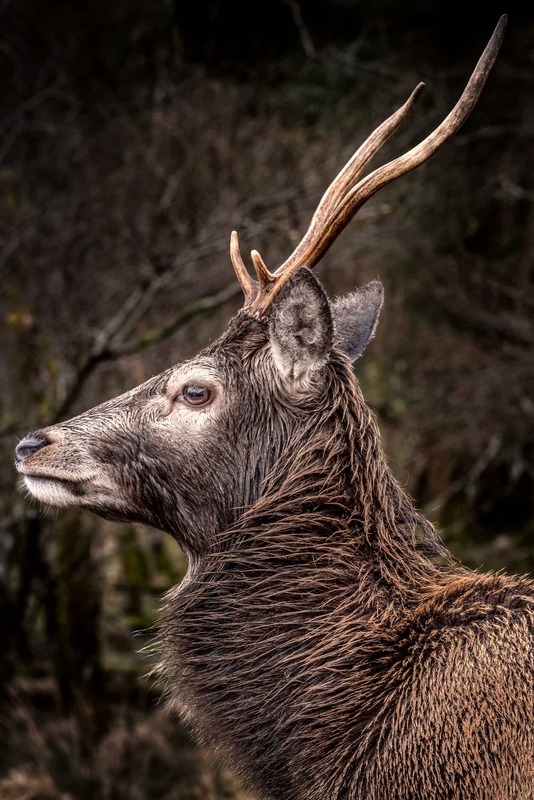 The locations have been selected for their photographic appeal in the highlands and islands. The climate is temperate and dominated by the Gulf Stream, with warm, moist summers and mild wet winters. Scotland has an ancient history with remnants of neolithic culture as well as vestiges from more recent times in the form of castles and old estates. It is a place where people have interacted with the ancient landscapes for millennia and it is this fusion, which creates unique photographic opportunities. Our tour itinerary may change according to weather, light and spontaneous moments which emerge ‘en route’. Our first night is spent in Glencoe, a mountain valley village nestled amongst some of Scotland’s most impressive mountain scenery. If we have time on the way it may be possible to stop at some of the lakes and rivers to get into photographic mode! We drive around the Glencoe valley, Glen Etive or the lakes in the vicinity of Rannoch Moor with small trees, which in calm conditions create amazing reflections, Buachaille Etive Mor Waterfalls, cottages set in mountain backdrops, turbulent Scottish rivers and always seeking the best angles and light. On the way to Portree we will stop at the iconic Eilean Donan castle which is very photogenic and also, if time permits the beautiful bridge at Sligachan. 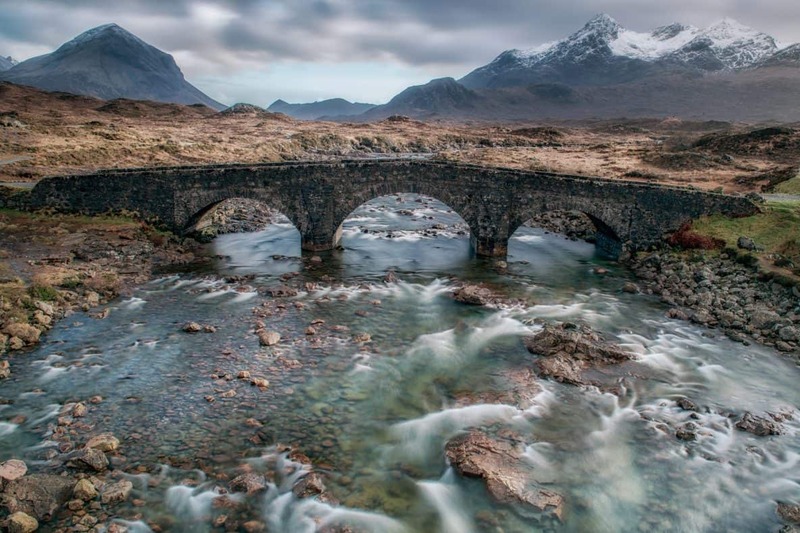 During our time on Skye we will drive to the Old Man of Storr and the Quiraing (both along a basalt escarpment where there are ancient landslips), the waterfall at Kilt rock, possibly the stone beach at Elgol and maybe the fairly pools with the backdrop of the Cuillins (mountains). Today we take the ferry from Uig on Skye to Tarbert on the Isle of Harris (Lewis and Harris) which is part of the Hebrides. Or we drive through the highlands to Ullapool and take the ferry to Stornoway and drive to Tarbert. Depending on the time available we should be able to take a few shots en route. Whilst on Harris and Lewis we spend time photographing the amazing sandy and rocky beaches of West Harris which faces the full force of the Atlantic Ocean. Here is is very useful to have a tripod and filters to truly capture motion and flow. Some of the beaches we go to are Losgaintir, Bagh Steinigidh, Northton beach and salt marshes, Traigh na Cleabhaig and anywhere with the right conditions (light, waves, rocks) to shoot. Sometimes it’s the unexpected which enables a great capture. Today we drive through Harris and Lewis to Stornoway, the capital of the Hebrides. We take the ferry from Stornoway to Ullapool and stay in the Highlands for one night. Photography ‘en route’. Day 9. 2nd April Drive to Glasgow for onward connections. Please try to get evening flights as it takes a few hours to drive to Glasgow. Transfer to and from Glasgow International Airport at the start of the tour at the end of the tour. The cost of the tour is £4350pp based on two people sharing. To confirm the booking a deposit of £1000 is required to pay deposits for the hotel bookings.